Spice mobiles has announced its latest flagship smartphone, the Mi 550 Pinnacle Stylus. The handset comes with standard Specifications, but to attract the customers the company has included Stylus. The company is very famous for its budget smartphones, we thinks it was second mobile vendor after Micromax to introduce budget smartphones (2011). The company’s smartphone with Full HD display the Mi-525 is already ruling in the Indian markets, since launched. The Spice Pinnacle Stylus Mi550 has 5.5 HD TFT LCD display with 1280×720 pixels resolution. It gains the power from 1.2 GHz quad core processor and runs Android v4.2 Jelly bean operating system. The smartphone has 1GB RAM, 8GB inbuilt memory, up to 32GB via micro SD card slot and a stylus slot. As the handset is priced under 15,500 therefore you can not expect a excellent stylus and so the response. But it will not be very bad as Spice will never try to make you despondent. The Mi-550 has 8 megapixel Autofocus primary camera with LED flash and a 2 megapixel secondary camera, the handset can record FULL HD 1080p videos at 30fps. Talking about the connectivity options it features Bluetooth v4.0, GPS / A-GPS, micro USB, 3G HSPA+, WiFi and 3.5mm audio jack. The mobile phone has Dual SIM card slots and it houses 2500mAh battery to power the handset. 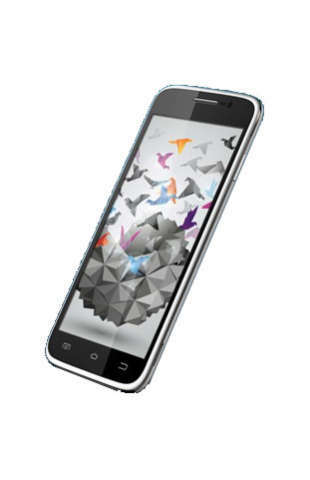 Spice Mi-550 is available from the company official online retailer Saholic for Price of RS 15,499 (EMI starts from RS. 993/ month). The shipment for the orders will begin on 14th October. The Device comes in Black color and with a Free flip cover.